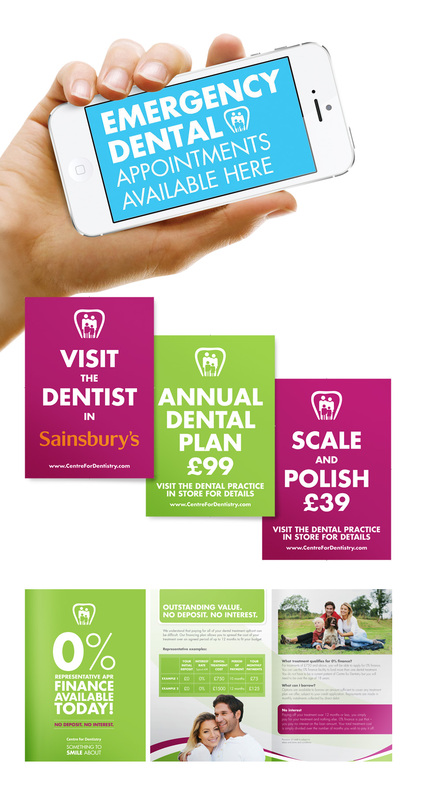 Centre for Dentistry is a chain of dental practices operating from within Sainsbury’s supermarkets. The chain is rapidly expanding and aims to become the UK’s first recognised dental brand. Open have created a bold graphical approach to communicate key sales and marketing messages across print and social media. Our design work has also led to briefs to help improve in-store environment with projects to improve practice window display, fascia design and wall graphics.